You are here: Home > Congratulations To Our First Scratch and Win Winner! Congratulations To Our First Scratch and Win Winner! Ladies and gentlemen, this is Bill, he is our very first winner in the TmoNews Scratch and Win game!!!!! Wooohoooo, round of applause! Bill was the lucky winner of a Blackberry 8520! Bill won on June 21st at 8:55 pm so you never know when you have your chance to win! Want your chance to play? 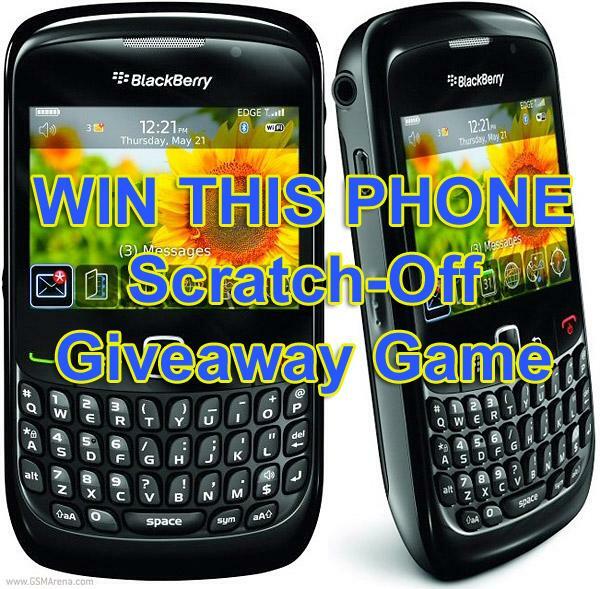 Good…because we are giving away ANOTHER Blackberry 8520 starting right now, so click on the TmoNews Scratch and Win game right now for your chance to win! I am envious, but congratulations to you! Thanks Dale! I couldnt believe it when the third Blackberry came up. I don’t get it, where am I supposed to click? Clicking on the two links just brings me back to this post and clicking the photos just shows the photos. Am I missing something obvious? Thanks! Hey Robert, here are the two links and I’ll get them back into the post! Would love to play, if your damn ads didnt cover the whole play area. Giveaway fail.